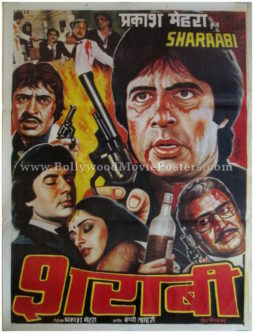 Old Bollywood poster for sale of the Hindi film Unees Bees (1980). 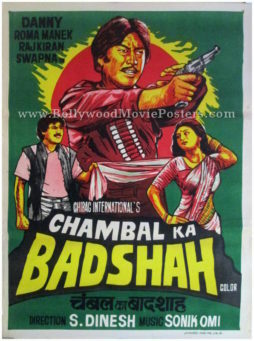 This is an actual surviving old Bollywood poster for sale of the 1980 Hindi film that starred Mithun Chakraborty, Rakesh Roshan and Kader Khan in lead roles. 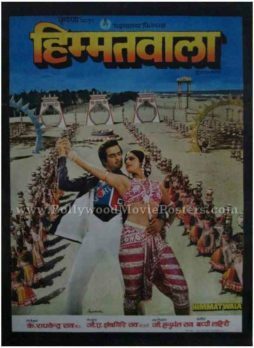 Printed and circulated a few years after the original first release of the film (somewhere in the 1980s), this old Bollywood movie poster for sale was printed for publicity of the film but never ended up being used. 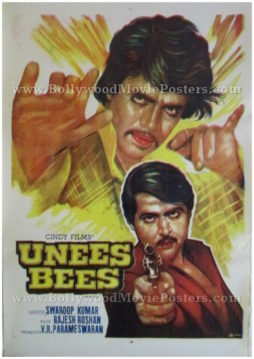 Unees Bees marked the Bollywood debut of one of the greatest playback singers in Indian cinema, Udit Narayan. 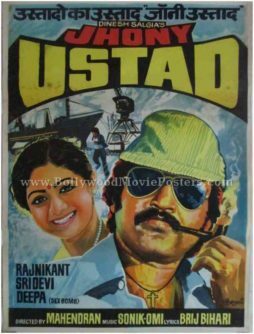 The soundtrack of Unees Bees was composed by music director Rajesh Roshan who gave Udit Narayan the opportunity to sing his first Bollywood song, “Mil Gaya Mil Gaya” along with veteran singer Mohammed Rafi in the film. 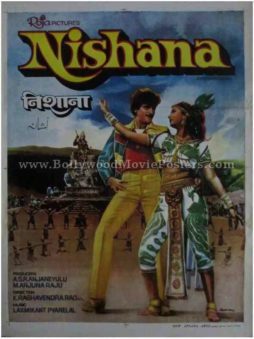 Udit Narayan has sung over 30,000 songs and remains the only male playback singer in the history of the Filmfare Awards to have won awards over a period of three decades, making this old Bollywood poster highly collectible! 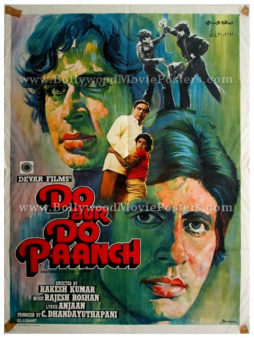 This old Bollywood poster was originally designed in hand painted oil on canvas format by a small time art studio in Delhi. 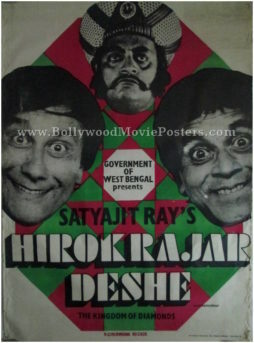 Quirky hand drawn portraits of lead stars Mithun Chakraborty and Rakesh Roshan are seen in this old Bollywood poster. 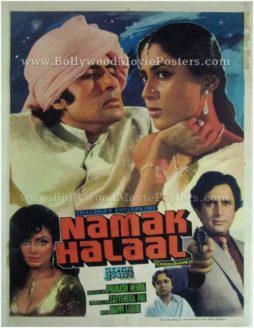 The poster is set against vibrant hand painted brush strokes with the lettering at the bottom appearing in a stunning yellow font. 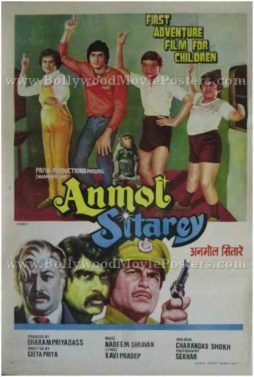 Old Bollywood poster for sale of the Hindi film Anmol Sitare (1982). 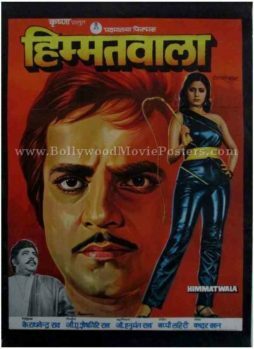 This is an actual surviving original old Bollywood poster for sale of the 1982 Hindi film that featured comedian Rakesh Bedi. 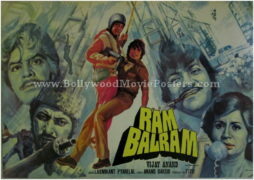 Anmol Sitare was marketed as the first adventure film for children, making this old Bollywood poster highly collectible. 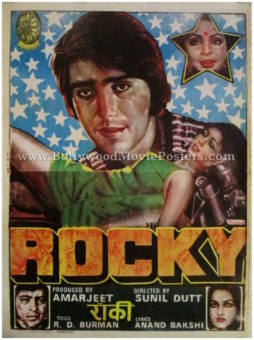 Printed and circulated during the original first release of the film (somewhere in the early 1980s), this old Bollywood movie poster was originally designed for publicity of the film but never ended up being used. 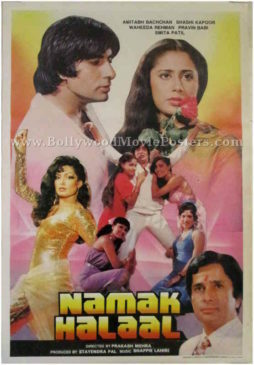 This old Bollywood poster for sale features fabulous hand painted artwork. 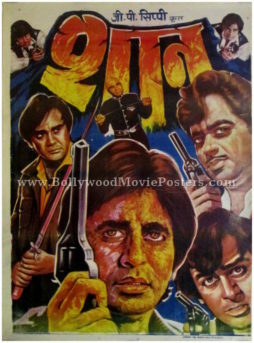 Initially designed in oil on canvas format by a leading Bollywood movie poster design studio (Selbest), a total of seven different characters are seen in hand painted avatars in this old Bollywood poster. A monkey is seen prominently at the center of this old Bollywood poster for sale. 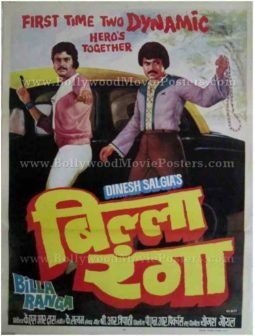 Old Telugu movie poster for sale of the hit Indian film Billa Ranga (1982). 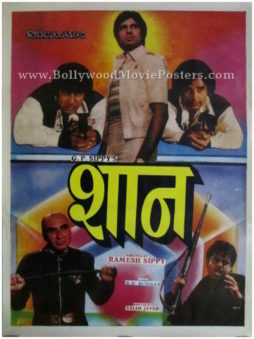 This is an actual surviving old Telugu movie poster for sale of the 1982 action film directed by K.S.R. 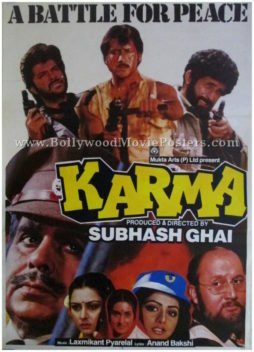 Das that starred Chiranjeevi as Billa and Mohan Babu as Ranga. 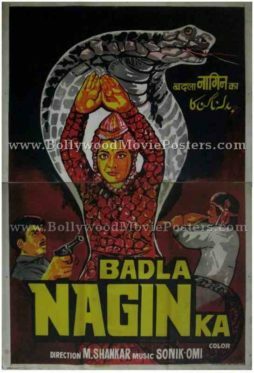 Billa Ranga was the first film to bring two superstars of Telugu cinema together on screen, making this old Telugu movie poster for sale highly collectible! 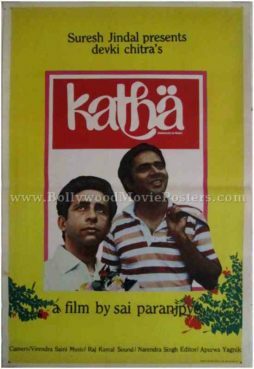 This old Telugu movie poster for sale was originally designed and printed for publicity during the film’s first release (somewhere in the early 1980s) but never ended up being used. 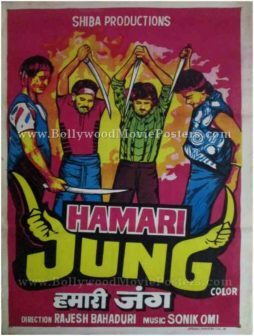 This Chiranjeevi movie poster was originally hand painted on canvas by a leading poster art studio in Bombay. 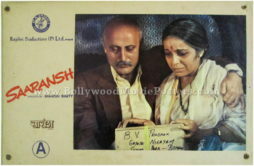 The two superstars of the film are seen in beautiful hand drawn portraits with an Indian taxi cab in the background. 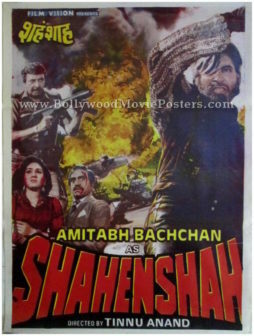 This old Telugu movie poster for sale capitalizes on the fact that the film features two superstars of Telugu cinema together on screen for the first time, with an announcement on the top.